This attack is really usefull to end the match. 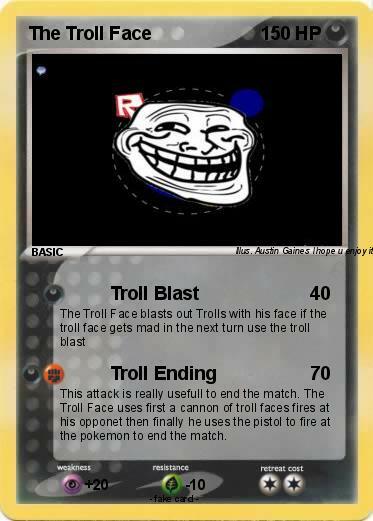 The Troll Face uses first a cannon of troll faces fires at his opponet then finally he uses the pistol to fire at the pokemon to end the match. Illustrator : Austin Gaines I hope u enjoy it.